Kristin Cleare became involved with Team in Training in 2003 as part of the marathon team. 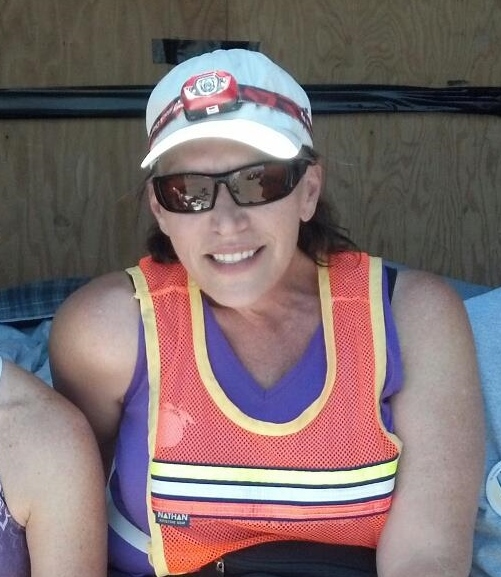 While she was training for her first event a good friend, Traci, was diagnosed with Multiple Myeloma. She made a commitment to continue fundraising and training until a cure was found. Since then she has completed over 25 events with Team in Training. Kristin became a running coach in 2007. 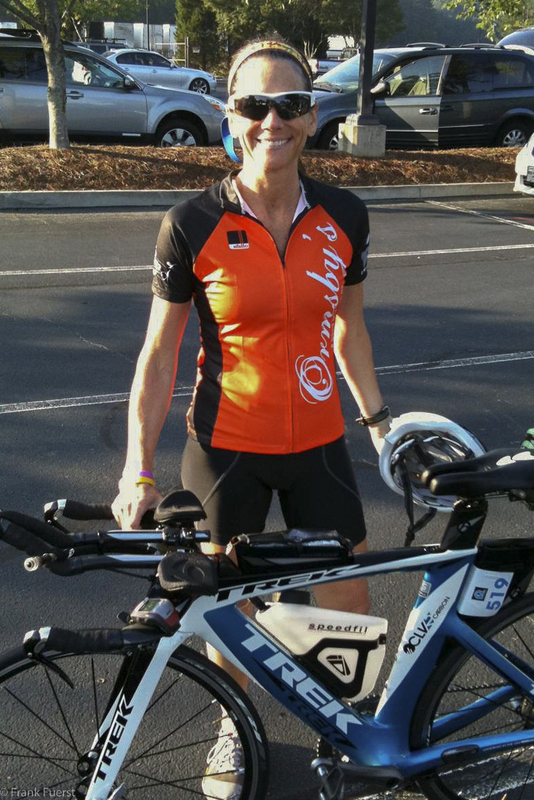 She has also participated in Olympic and Half Ironman distance Triathlons with TNT as well as Tahoe Century Ride. Kristin organizes a tennis event in her neighborhood raising $7,000 – $8,000 each year. She feels blessed to be a part of such a wonderful organization. Kristin lives in Milton, GA with her husband, Bill and collie, Peyton. She has three children ages 19, 23 and 24. One of her favorite TNT memories was running Nike DC with her daughter last year. She trains for friendship because the people she has met through TNT are her nearest and dearest friends, for clarity because with three children she never has all of the answers, and to find a cure because Traci deserves to watch her children grow up. Kristin is very excited to be a part of the crew for RAAM! Jane’s interest in road cycling began in 2004 when she first joined The Leukemia & Lymphoma Society’s Team In Training (TNT) program as a participant in America’s Most Beautiful Bike Ride at Lake Tahoe. Since then, she has participated in 35 TNT events, including cycling centuries, full and half marathons, short-course triathlons, and Ironman triathlons and has raised over $125,000 to help in researching cures for these diseases. In 2010, Jane acted as Crew Chief for the Georgia Chain Gang and in 2012 as one of the riders for their 8-person team. 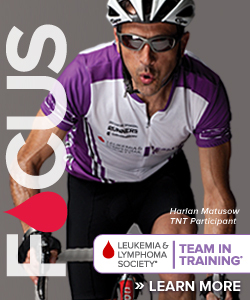 Neil’s connection to The Leukemia & Lymphoma Society began in 1998 when he became the cycling coach for the Georgia Chapter of Team In Training. Since then he has coached over 700 participants who have completed over 40 TNT cycling events including 5 of the riders on the 2014 edition of the Georgia Chain Gang. Neil has completed over 300 centuries and as a member of Randonneurs USA qualified for and participated in the 2011 edition of Paris Brest Paris, a 1200 kilometer ride held in France every 4 years. A fractured collar bone 200 km from the finish prevented a successful PBP, but despite shoulder surgery, Neil now has 51 consecutive months completing a Randonneur event of 200 kilometers or more since 2010. Neil graduated from the University of Richmond with a BA in Economics. He is now attending Georgia State University pursuing a BS in Exercise Science & Kinesiology. 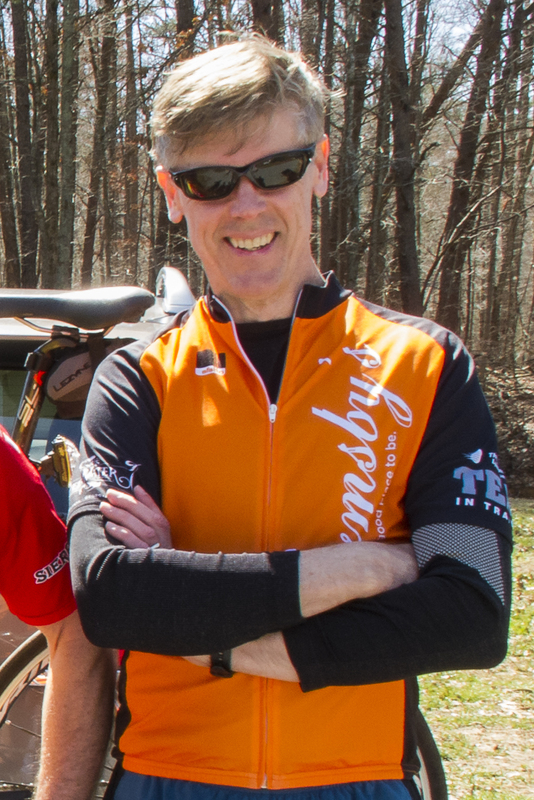 Neil has been a licensed USA Cycling Coach since 2001 (level 1 since 2007), and a certified League Cycling Instructor for the League of American Bicyclists since 2003. Neil has provided crew support on 4 occasions for TNT cyclists participating in the Heart of the South 500 and the Georgia Chain Gang in 2012. He is looking forward to helping the Georgia Chain Gang complete their 2014 RAAM adventure in less than 6 days. Frank is a lifelong cyclist and endurance athlete. A long time runner and triathlete, Frank has concentrated on long distance cycling for the last ten years. He has competed some of the most challenging one-day endurance events, including the Assault on Mt Mitchell multiple times, Triple Bypass and the Death Valley Double Century. Frank is participating in his 4th Race Across America. In 2009 he crewed for the Georgia Chain Gang after a training accident knocked him out of the rider lineup. Frank was back in 2010 and rode on the 4-man team that year. The Chain Gang fielded an 8-person team in 2012, and Frank rode that year as well. Frank is happy to be able to pass the baton to a new group of riders, many of who crewed for teams he rode on, and to now have the opportunity to support them as co-crew chief. Frank is especially excited to once again be riding for the Leukemia & Lymphoma Society, and this year with the biggest fund raising goal ever – $200,000! Frank moved to Georgia 30 years ago and has made it his home ever since with his wonderfully tolerant and supportive wife and two beautiful daughters. He is the co-founder and CEO of B2B Technologies, an IT Professional Services company. Frank holds a B.S. in Engineering from Brown University, and an MBA from Georgia Tech. Charlie is excited to join the Georgia Chain Gang. He followed the team in their two previous successful completions of the Race Across America and became intrigued by the amazing efforts of the racers and the logistics of the race. When the opportunity to become a crew member arose he quickly signed up. He is equally excited by the challenge to raise money to fight blood cancers. Like so many others who have been touched by this disease, he lost his uncle in 2011 after a long battle with chronic leukemic lymphoma. Charlie is a graduate of Kent State University with a BA in Botany. 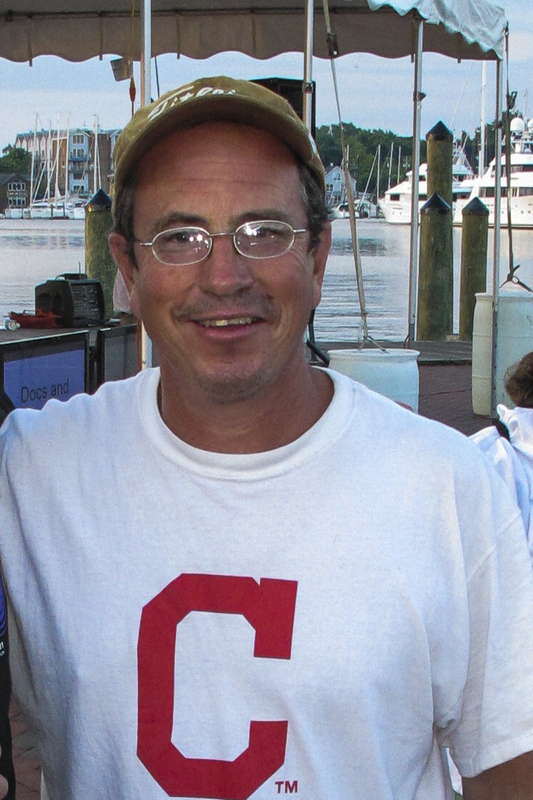 He has owned and operated Robinson Lawn & Garden Center in Hudson, Ohio since 1982. He is also a grower of gourmet organic produce which he sells to local restaurants and at the Hudson Farmers’ Market in Ohio. Lynn began her career with The Leukemia & Lymphoma Society’s Team In Training on a hot day in May 1999 in Piedmont Park with Paul and Cindy—the coaches of the 1999 Georgia Team for the Athens to Atlanta (A-2-A) Inline Skate. Almost 13 years later, 3 Inline Skates, 1 Adventure Race, 1 Hike for Discovery, 1 Marathon Walk, 1 Half Marathon and 9 Century Cycling Rides later, she finds herself on the Georgia Chain Gang. Lynn had Hodgkin’s Lymphoma in 1985 and then had a collateral cancer in 2006. So, the work that The Leukemia & Lymphoma Society does has a special meaning for her—fundraising to find better treatments that hopefully will lead to cures for these blood borne cancers has become almost a second career for Lynn. Lynn gets her inspiration from our patient heroes who are still fighting the battle. Lynn also currently serves on the Alumni Advisory Committee for the Team In Training Georgia Chapter. Lynn is self employed and is the proud—but broke—parent of a daughter, Casey, who attends college at the University of Georgia. She splits her time between Athens and Conyers and shares her home with two sheltie pups—Stella and Tallulah. In her spare time, Lynn enjoys hiking, cycling, scuba diving, dog agility training and traveling.